In a world where music is a key force in uniting us – whether spiritually through the common love of particular artists, styles and genres .. or physically through attendance at festivals, concerts and LIVE gigs – it is undoubtedly a powerful means of focusing the attention of the masses as many are already aware and many are beginning to learn. And it’s that ” awareness” which is now being channeled by many artists to unite others in positive ways to drive support for worthy causes. 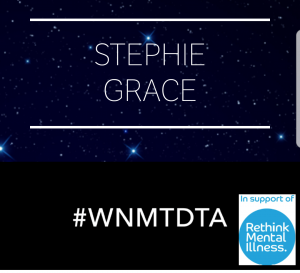 ONE such artist is the incredibly talented singer songwriter Stephie Grace who makes her musical debut this year with the launch of her #WNMTDTA Campaign supporting Mental Health Awareness. The campaign supports the mental health charity Rethink which provides expert, accredited advice and information to everyone affected by mental health problems through a network of over 200 mental health services and 150 support groups across England directly supporting almost 60,000 people per year. 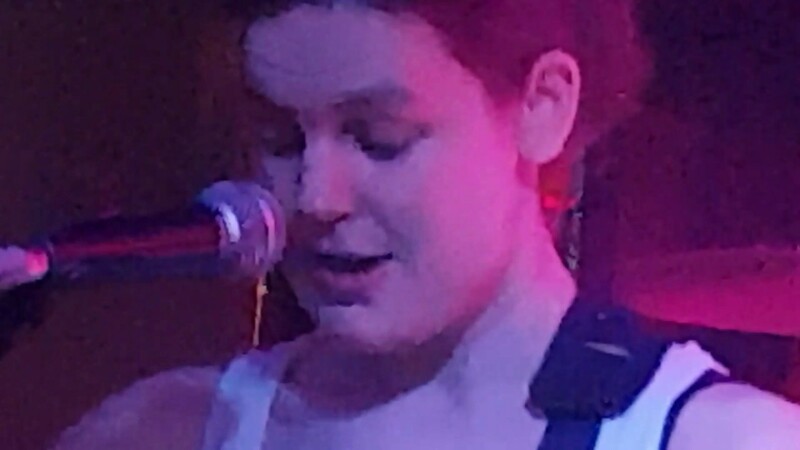 A keen advocate of her cause – Stephie has already confided a time of struggle with such issues in her own life and now channels her energy talent and past experience into crafting songs and bringing a message to the public through the launch of her beautiful melodies and eloquently crafted lyrics. STAGES opens the campaign and is available on all majors (iTunes etc) with all profits donating to her chosen charity. And you can hear it by clicking one of these links. HEARTBEATS – Stephie also launched a single in the summer as a prelude to her campaign to grow her audience and give everyone a taste of what was yet to come. Heartbeats is an #AWESOME song beautifully vocalised and incredibly soothing and calming in it’s delivery. 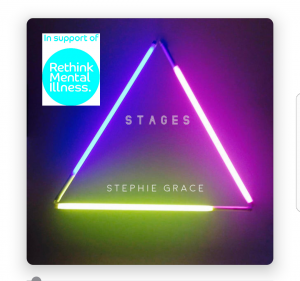 check it out here ..
There’s more to come from Stephie – so .. watch this space – for Stephie Grace ! !